Includes thirty five animated (Unity) pixel effects. Includes: Flame, Selection, Sick, Sleep, Path, Block, Box, Bubble, Circle, Claw, Consume, Dark, Earth, Electric, Explode, Fire, Footprints, Glint, Heal, Ice, Lightning, Nuclear, Poison, Puff, Shield, Slash, Sparks, Splatter, Square. 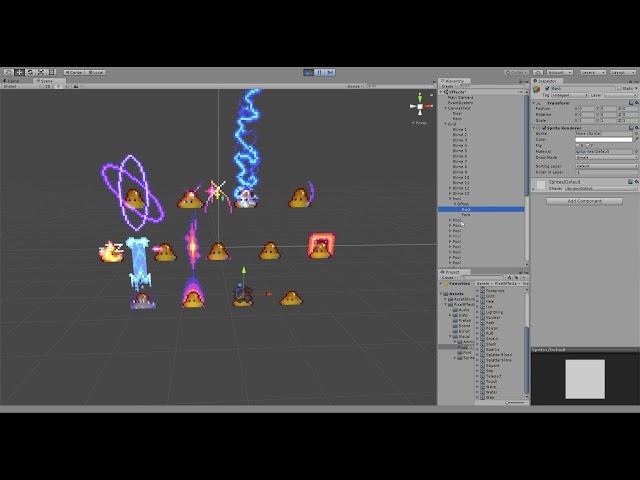 Also includes simple animated (Unity) slime.